The Oxygen Model of Parasitis Infestation – Majid Ali, M.D. A healthy bowel is inhospitable to parasites, an unhealthy bowel cannot keep them out. As a boy in Pakistan in 1950s, I learned from my elders that healthy children were expected to have parasites every now and then, and were also expected to clear them out without drugs. As a medical student in that country, I began to see unhealthy children with bulging bellies who continued to pass large number of Ascaris and other types of intestinal worms despite the use of antiparasitic drugs for extended periods of time. After 48 years of studying medicine, it is both amusing and revealing that my work in the field of parasitology has added little to what I learned from the non-medical elders. I do need to belabor the enormity of the problem of parasitic infestations. The World Health Organization estimates that 3.5 billion people—approximately 55 percent of the world population—suffer from some type of parasitic infection. Acute parasitic infestations in previously healthy subjects require prompt identification of parasites by classical morphologic, serologic, and recent nucleotide sequence studies conducted with stool, blood, or other suitable specimens. Next, the infested individuals need to be vigorously treated with the standard pharmacologic regimens. In the majority of such cases, the diagnosis and treatment of acute infestations do not pose serious difficulty. Some types of parasites, such as Entamoeba histolytica, Oncocerca volvulus, Loa loa and others, require extended periods of treatment. Several excellent texts exist on the subject. The problems of chronic infestation in people with compromised oxygen homeostasis are altogether different. I offer some observations and reflections on those problems in this column. I finished my surgical training in June 1968. Between 1968 to 1996, I was a hospital pathologist and examined over 14,000 colonicbiopsies and over 5,000 gastric biopsies. Very early in my pathology years, I became disillusioned by the lack of correlation between what I saw in biopsy tissues and the clinical symptomatology described by clinicians. The alimentary tract has limited ways in which to respond to biochemical, microbiologic, and anger-related stresses. I recognized that histopathologic changes I observed largely represented the consequence, rather than the cause, of events that produce the symptom complexes. The real issues in chronically ill subjects with persistent abdominal symptoms were chronic oral pathology, inflammation, digestive-absorptive dysfunctions, overgrowth of oxyphobic species, increased bowel permeability, IgE-mediated mold allergy, adverse food effects, and delayed bowel transit time. During the late 1970s, I was also introduced to practitioners of alternative medicine. In some parasitology conferences, I was bewildered by claims of cures of diverse chronic disorders—from rheumatoid arthritis to Crohn’s colitis, to schizophrenia—with herbal parasitic cures. Sometimes, I was appalled to see parasites being diagnosed in smudged slides with which no well-trained parasitologist would have ventured to make a definitive diagnosis. Some years later, I undertook a diligent study of the problem with rectal mucus samples obtained with proctoscopy. I persuaded an eminent “holistic parasitologist” to collaborate with me. He diagnosed parasites in nearly all those mucus samples. However, one of my associate pathologist at the hospital, who specialized in parasitology, was unable to validate the claims of the holistic expert. Still, I treated several chronically ill individuals for parasites diagnosed by the holistic parasitologist with his herbal anti-parasitic formulas. The clinical results were poor. Now I return to the opening sentence in this column: A healthy bowel is inhospitable to parasites, an unhealthy bowel cannot keep them out. For exploring that subject, I summarize below selected recent reports about the redox- and oxygen-related dynamics of the host-parasite dynamics. I follow that with a presentation of my clinical approach to the problem of chronic parasitic infestation. The dysox model of illness has two tenets: (1) The final pathway of cellular injury is always disrupted oxygen homeostasis; and (2) Integrative plans for restoring health must address all elements that threaten cellular oxygen homeostasis. As for the former, the redox- and oxyradical-related mechanisms involved with viral, bacterial, and fungal infections have been extensively studied.16 In contrast, the roles of those mechanisms in parasitic infestations have been investigated only recently. Free radical investigations have revealed that reactive oxygen and nitrogen oxide species—superoxide, singlet oxygen, hydrogen peroxide, nitric oxide, and others—play crucial roles in parasite/host dynamics. Although superoxide and nitric oxide have antimicrobial activity against parasites (and against viral, bacterial, and fungal species), those interactions are complex, and often have paradoxical effects. That should not be surprising since both in humans and parasites those reactive species mediate pathways of death as well as of life. The first-generation radicals trigger reactions that generate second-generation radicals, such as peroxynitrite produced by the reaction of superoxide and nitric oxide, which have strong oxidation and nitration potential and often modify host/parasite biological responses. Another example is that of nitrative stress-mediated 8-nitroguanosine formation in certain viral infections, which have unique redox reactivity and mutagenic potential. A good case study in this context is of malaria, an infestation in which the relationships between the host-related and the parasite-related redox dynamics have been explored, including the molecular pathways initiated and perpetuated by oxyradicals and oxidized hemoglobin. It has been long recognized that the erythrocytes of some populations are genetically protected against the parasites, including individuals with sickle cell trait, alpha- and beta-thalassemia, and deficiency of glucose-6-phosphate dehydrogenase (G-6-PD). Hemoglobin in such entities is more susceptible to oxidation. There is some indirect evidence of irreversible interactions between oxidized hemoglobin and the erythrocyte membrane (and most likely some subcellular organelles) that both interfere with the ability of the parasite to invade the red blood cells and make those cells inhospitable to the parasite. Other redox events involve heme oxygenase, which is known to be induced in severe malaria by the lysis of erythrocytes, oxidative bursts, and inflammatory cascades triggered by them. Some other specific examples of redox dynamics involved in the host/parasite interactions may also be cited here. In the Leishmania species, glutathione and the redox control system involving trypanothione/ trypanothione reductase play important protective roles for the parasites. For example, resistance of Leishmania donovani to sodium stibogluconate (SSG) is related to the expression of host and parasite enzyme gamma-glutamylcysteine synthetase (gamma-GCS). Experiments of the in vitro infection of murine macrophages with parasite strains with altered gamma-GCS expression showed down regulated expression of host gamma-GCS, which would result in a reduction in intramacrophage glutathione (GSH) levels and promote an oxidative intramacrophage environment. Specifically, this would be expected to reduce or inhibit the reduction of SSG pentavalent antimony to its more toxic trivalent form. Furthermore, the resistance of the parasite to SSG was associated with manipulation of both host and parasite GSH levels by L. donovani. In the case of Plasmodium falciparum, both infection of human erythrocytes with the parasite and oxidative stress induced changes in the organic osmolyte and anion permeability. In the case of Plasmodium berghei, the parasite resists killing by reactive oxygen species. Babesia gibsoni thrives in canine erythrocytes with impaired redox dynamics as shown by reduced glutathione content. The parasites also begins multiply rapidly in erythrocytes containing high concentrations of potassium due to an inherited high Na,K-ATPase activity. In Acanthamoeba castellanii, the sensitivity of uncoupling protein activity to a purine nucleotide (GTP) in mitochondria respiration depends on the redox state of the membranous quinone. In this setting, linoleic acid induces uncoupling proteins. Such induction can be inhibited by a purine nucleotide (GTP) when quinone is sufficiently oxidized. There is a progressive decrease of mitochondrial respiration by declining respiratory substrate availability, either by succinate uptake limitation or by decreasing external NADH supply. Reduction in the rate of quinone-reducing pathways then progressively leads to a full inhibitory effect of GTP. Furthermore, amoebic mitochondria isolated from cold-treated cells (with a higher uncoupling protein activity) show inhibition of the linoleic acid-induced proton leak by GTP. I order the examination of stool specimens obtained on three successive mornings for ova and parasites. However, I do not expect this approach to yield satisfactory results in many patients with chronic abdominal symptoms. When precise identification of one or more parasites is obtained, my treatment plan sometimes includes pharmacologic agents specifically chosen for the parasite(s) in question. Even in such cases, I follow up the pharmacologic regimen with phytofactor regimens (see Tables 1-3 for details) for two to six months. I formulated for myself the following clinical guidelines for dealing with suspected parasitic infestations in chronically ill patients with a broader ecologic approach that addresses all digestive-absorptive disorders, bowel transit time, and altered bowel flora. Beyond those are the crucial issues of oxygen homeostasis, redox equilibrium, and acid-base balance in the bowel, as well as other ecosystems of the body. My clinical priorities in the choice of phytofactor regimens for control of parasites are given in Tables1-3. I begin with a combination of elements (usually wormword, cloves, and walnut) and add other items that are included in Table 1. I follow up with phytofactor regimens given in Tables 2 and 3 rotating on a weekly basis for a period of four to six months. It is also my practice to provide strong antifungal support (nystatin and other agents) throughout the treatment for parasites. In closing, chronic intestinal parasitism is endemic among individuals with compromised oxygen homeostasis and intractible bowel problems. Precise laboratory identification of parasites in such patients is often incomplete or unstisfactory. Redox- and dysox-related issues of critical importance in the treatment of chronic parasitic infestations are discussed. Some guidelines are of phytofactors for controlling chronic parasitic infestations are furnished. 1. 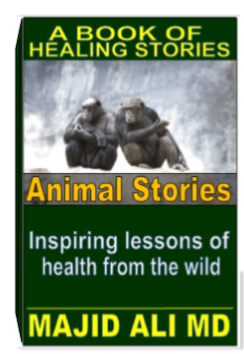 Ali M: The Cortical Monkey and Healing. Bloomfield, New Jersey. Life Span Books 1991. 2 Ali M. The agony and death of a cell. In: ySyllabus of the Instruction Course of the American Academy of Environmental Medicine. Denver, Colorado, 1985. 3 Ali M: Enzyme immunoassays for clinical practice of allergy. Textbook of Otolaryngology and and Head and Neck Surgery, Elsevier, New York, l989, pp.332-345. 4 Ali M: Correlation of IgE antibodies with specificity for pollen and mold allergy with changes in electrodermal skin respones following exposure to allergens. Am J Clin Pathol, 91:357, 1989. 5. Ali M, Bradford R, Ali O, et al. Immunostaining of Candida organisms in peripheral blood blood smears (abstract) 1995, American Academy of Otolaryngic Allergy, Spring Meeting, Palm Desert, CA. 6 Wen JJ, Garg N. Oxidative modification of mitochondrial respiratory complexes in response to the stress of Trypanosoma cruzi infection. Free Radic Biol Med. 2004;372072-81. 7 The plasmodial apicoplast was retained under evolutionary selective pressure to assuage blood stage oxidative stress. Med Hypotheses. 2005;65(4):683-90. 8 Gargili A, Demirci C, Kandil A. et al. In vivo inhibition of inducible nitric oxide and evaluation of the brain tissue damage induced by Toxocara canis larvae in experimentally infected mice. Chin J Physiol. 2004;47189-96. 9 Arrais-Silva WW, Collhone MC, Ayres DC,, et al. Effects of hyperbaric oxygen in Leishmania amazonensis promastigotes and amastigotes. Parasitol Int. 2005 Mar;54(1):1-7. 10 Pino P, Nitcheu J, Mazier D.. Cerebral malaria, a key role for endothelial cells? J Soc Biol. 2004;198187-92. 11 Muller S. Redox and antioxidant systems of the malaria parasite Plasmodium falciparum. Mol Microbiol. 2004;53:1291-305. 12. Facundo HT, Brandt CT, Owen JS, Lima VL, et al. Elevated levels of erythrocyte-conjugated dienes indicate increased lipid peroxidation in schistosomiasis mansoni patients. Braz J Med Biol Res. 2004;37:957-62. 13 Cunnington AJ, Kendrick SF, Wamola B,Carboxyhemoglobin levels in Kenyan children with Plasmodium falciparum malaria.Am J Trop Med Hyg. 2004 71:43-7. 14 Jarmuszkiewicz W, Swida A, Czarna M,. In phosphorylating Acanthamoeba castellanii mitochondria the sensitivity of uncoupling protein activity to GTP depends on the redox state of quinone. J Bioenerg Biomembr. 2005 ;37:97-107. 15 Destro Bisol G. Genetic resistance to malaria, oxidative stress and hemoglobin oxidation. 1: Parassitologia. 1999;41:203-4. 16. Zaki MH, Akuta T, Akaike T.Nitric oxide-induced nitrative stress involved in microbial pathogenesis. J Pharmacol Sci. 2005;98:117-29.